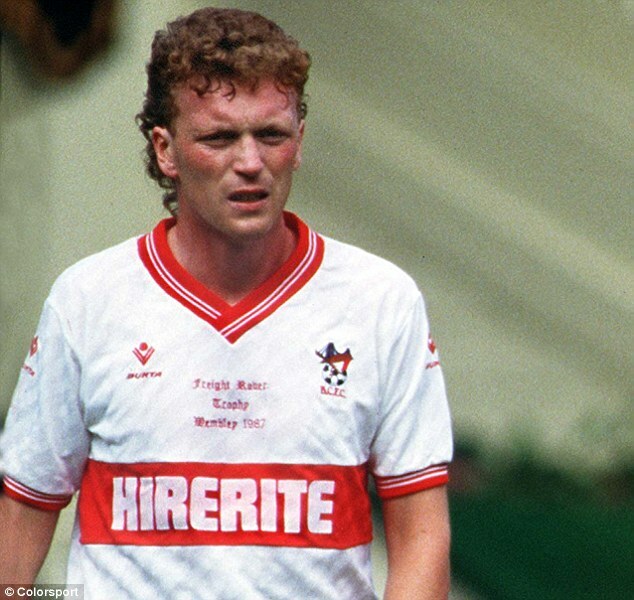 Manchester United coach David Moyes started his managerial career in 1986 while he was still an active footballer. Can you beat that. Check out the full story courtesy of Dailymail. Manchester United fans will be hoping David Moyes repeats the success of his first-ever coaching job and ending the season as a champion. 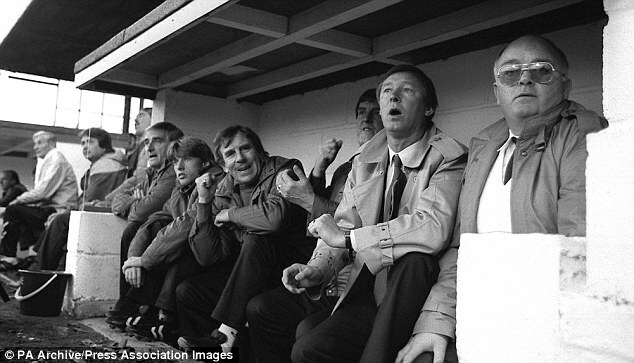 Sir Alex Ferguson was taking over at Old Trafford, Moyes was starting out on the very bottom rung of the managerial ladder in Division 5 of Bristol's Regional Sunday League. 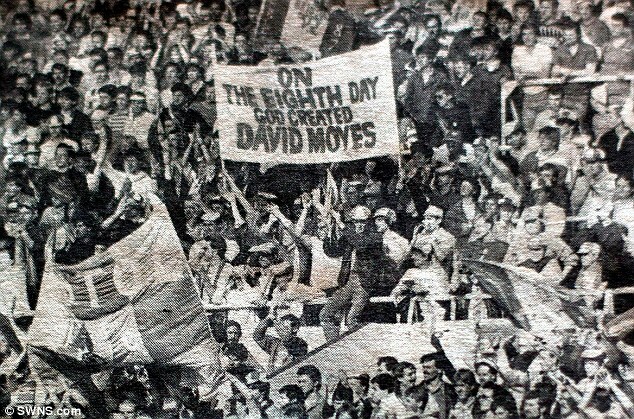 In 1986, Moyes, then a 23-year-old defender and captain with Bristol City, was invited to knock the indisciplined lads of Brunel Glazing into shape. He took charge of their twice-weekly training sessions for a couple of seasons - and the team became league winners, unbeaten at home under his command. 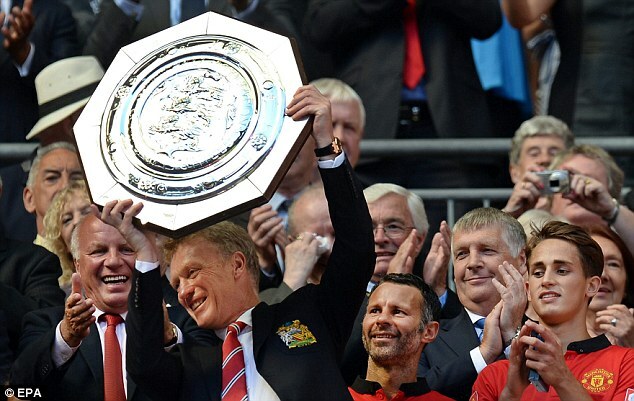 Moyes barked orders from the touchline during the team's Sunday matches and gave no-nonsense pep talks at half-time. But ex-players of the now-defunct team say he kept his distance socially and didn't join them in the pub after games. Former defender Garry Ford, 47, said: 'We were his coaching guinea pigs but I think the experience made him realise he really enjoyed it. 'He came to one game when we were 2-0 down and he walked into the dressing room at half-time. He was so composed and gave us belief. 'The way he spoke to us boosted us and we went out and won 3-2. He was an inspiration. 'He was really respected by the lads and came over as one of the boys. 'He knew what he was talking about and he was a great coach. 'He was with us for a couple of seasons. We had a couple of defeats away but we were unbeaten at home and we won the league. 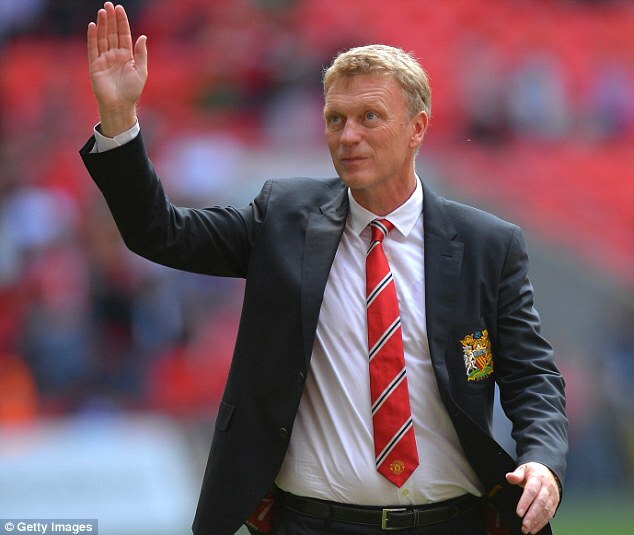 Unlike Ferguson, whose arrival at Old Trafford was the start of 27 glory years, Moyes's first coaching venture ended after a couple of seasons when Bristol City transferred him to Shrewsbury Town. Garry, an inspector with engine makers Rolls Royce, added: 'We were devastated when he left and we were never as successful again. Moyes took on the unpaid job with Brunel Glazing, based in the South Gloucestershire village of Alveston after being approached by former BBC Bristol commentator Phil Tottle. Phil said: 'It sounds silly and a bit cliched, but it all really happened by accident. 'A friend of mine was involved with the Brunel Glazing side and asked if I would go along, because they had a very talented team but the discipline was dreadful. 'He thought they might listen to me as some sort of voice of reason. I got involved and then the manager resigned and I took over the team and they were pretty successful. 'They won promotion but then I was at training one night and I thought, "I'm not really able to do this I really need to get someone in to get them focused". 'I was down at Ashton Gate a few days later and I said to Moyesy, who I really got on well with, "How would you fancy coming along and coaching my Sunday team?" Despite only being a few years older than the majority of the Brunel Glazing players, Moyes instantly won their respect and took his responsibilities seriously. If he was unable to take training sessions he would send along his team-mate Paul Fitzpatrick. Phil added: 'I'd given him the background, that they were a bit wayward and that discipline had been a problem, but that they were getting better. 'Moyesy came along one Monday night and it became a regular thing on Mondays and Wednesdays. 'Obviously, with his commitments he couldn't always get there, but he didn't miss very many. 'And the whole demeanour of those lads who were mainly 19 and 20-year-olds changed because of the way he treated them and because he took it so seriously. 'You could see his leadership skills and it was obviously something he had decided he wanted to do when he finished playing. 'He wouldn't come every Sunday, but if we had a big match he'd come along. He would talk to individual players and you could just see that he was going to be a natural. 'You just knew because he took it seriously and not as a laugh that he would do well. 'I don't think anything fazes him. The great thing about Moyesy is that he's a deep thinker and he will assess a situation and do what he thinks is right.